There are two metal sculptures under Skypoint at the intersection of 2nd Avenue North and North Broadway. “Grasslands,” by Jennifer Tolton is on the northeast corner of Skypoint. It joins Brian Keith Scott’s sculpture, “Shadow Whisper (brought to you by incognito),” on the southwest corner of Skypoint. 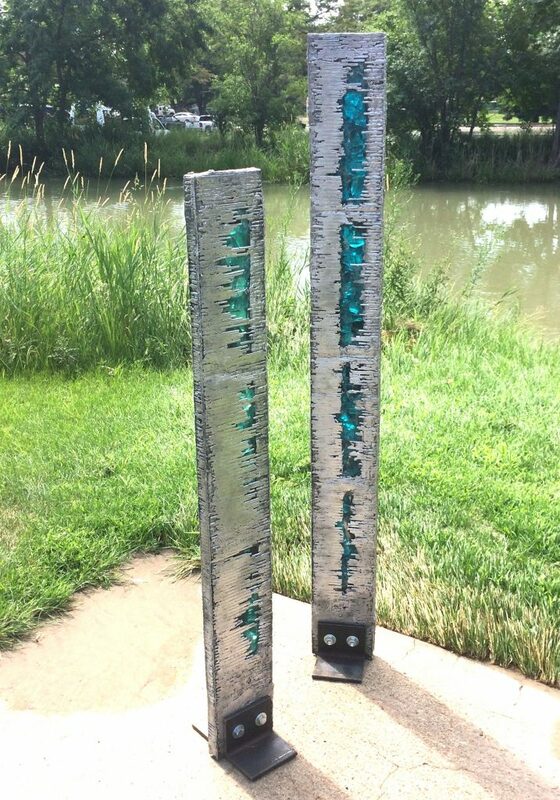 These art pieces are part of the Public Art Program of the Downtown Billings Alliance. If you or someone you know is interested in exhibiting a public art piece in downtown Billings, contact: Molly Schiltz, mollys@downtownbillings.com.